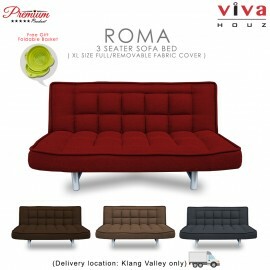 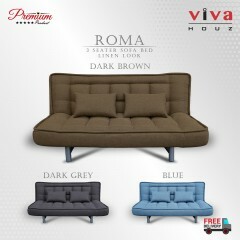 Viva Houz ROMA 3 Seater Sofa Bed is an ergonomically designed sofa bed to enhance the beauty of your home or office. Suit a variety of rooms and decor, it is beautiful and versatile.Finished..
Viva Houz London 3 Seater Sofa Bed is an ergonomically designed sofa bed to enhance the beauty of your home or office. Suit a variety of rooms and decor, it is beautiful and versatile. 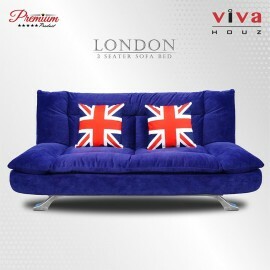 London Sofa ..
Viva Houz Zico Sofa Bed, a full size/fabric sofa bed/sofa with mix and match design to bring up the liveliness in your living room/bedroom/study room and guest room. The careful selection of mix and m..
Viva Houz Harley 3 Seater Sofa Bed/sofa, full fabric cover, a contemporary designed piece for comfort. 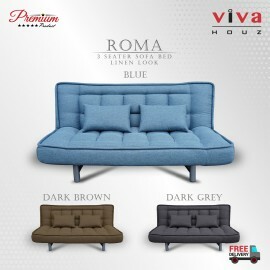 Finished in full fabric, this sofa bed comes with an adjustable backrest mechanism and o..
Viva Houz Helena 3 Seater Sofa Bed is an ergonomically designed sofa bed to enhance the beauty of your home or office. Suit a variety of rooms and decor, it is beautiful and versatile. 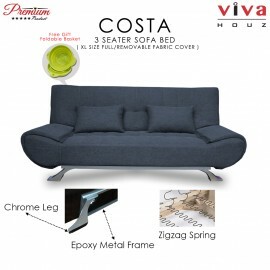 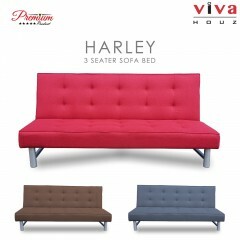 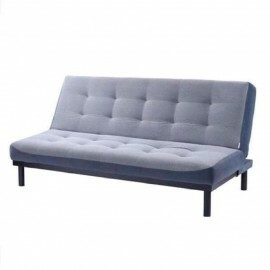 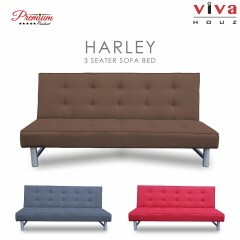 ..
Viva Houz COSTA 3 Seater Sofa Bed is an ergonomically designed sofa bed to enhance the beauty of your home or office. 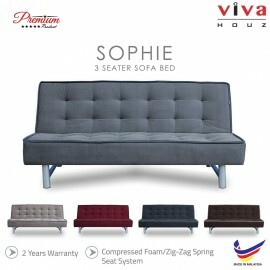 Suit a variety of rooms and decor, it is beautiful and versatile.Finishe..
Viva Houz Sophie Sofa Bed, a full size/fabric sofa bed/sofa to bring up the liveliness in your living room/bedroom/study room and guest room. 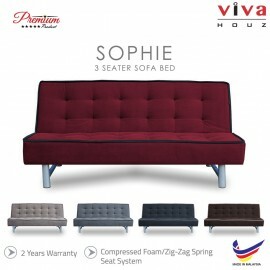 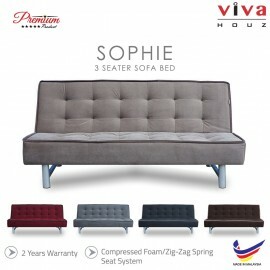 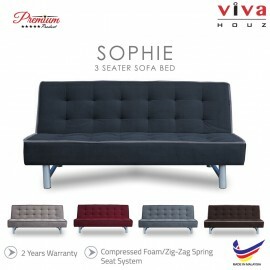 Viva Houz Sophie Sofa Bed is made with quality hardw..
An ergonomically designed sofa bed to enhance the beauty of your home or office.Suit a variety of rooms and decor, it is beautiful and versatile. 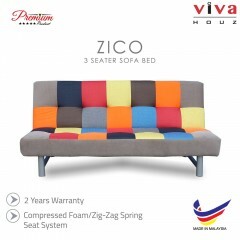 Finished in full fabric, this sofa bed comes with an ..
An ergonomically designed sofa bed to enhance the beauty of your home or office. Suit a variety of rooms and decor, it is beautiful and versatile. 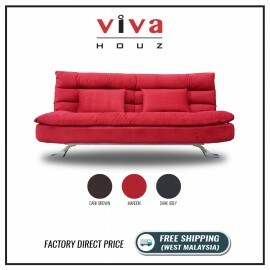 Finished in full fabric, this sofa bed comes ..
VIVA HOUZ - NEWTON Sofa Bed (Made in Malaysia, 2 Years Warranty)An ergonomically designed sofa bed to enhance the beauty of your home or office. Suit a variety of rooms and decor, it is beautiful and ..